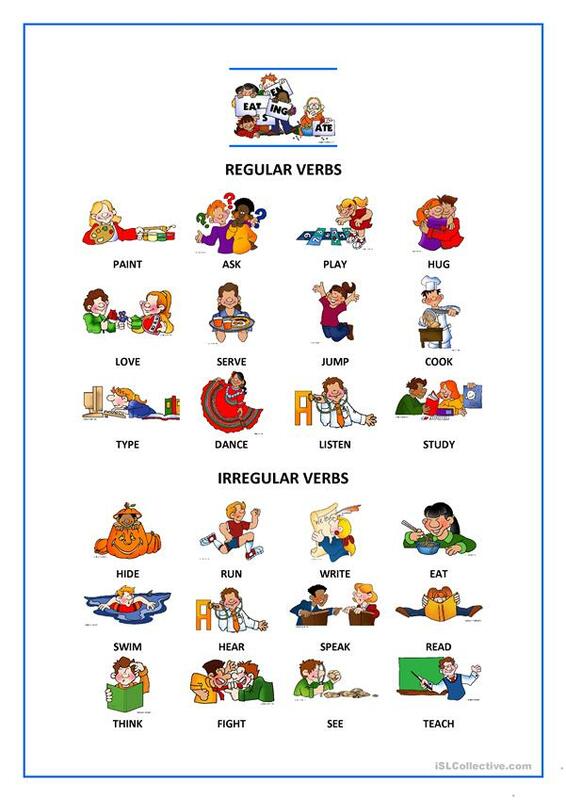 Some regular and irregular verbs with their pictures. 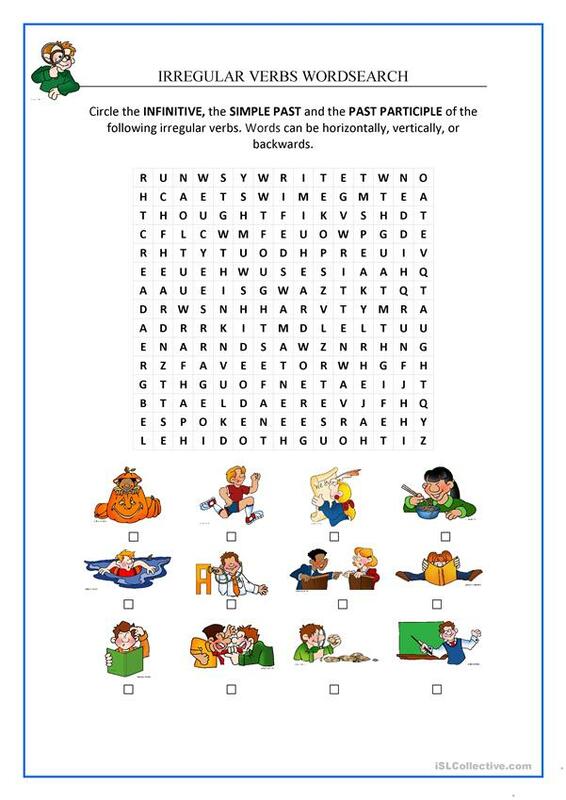 There are two wordsearches to practise these verbs. 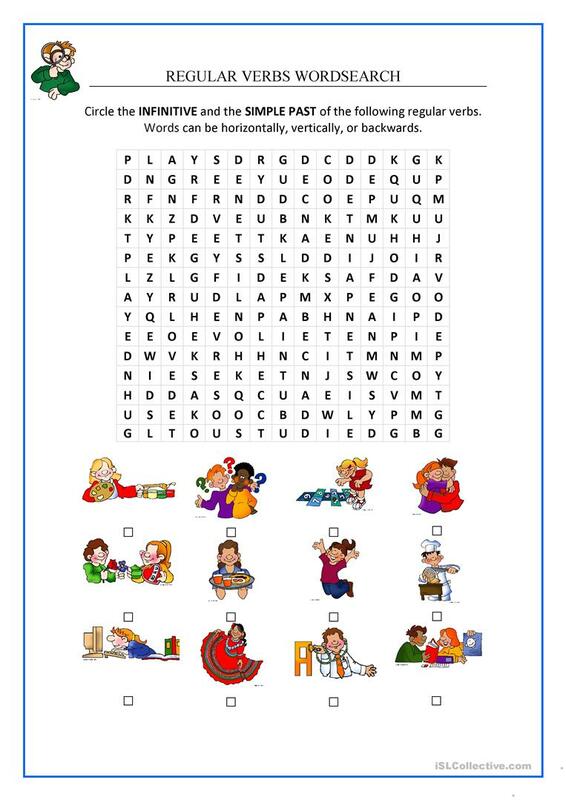 The above downloadable teaching material is intended for high school students and adults at Pre-intermediate (A2), Intermediate (B1) and Upper-intermediate (B2) level. It is a useful material for practising Verb patterns in English, and was designed for honing your students' Writing skills.